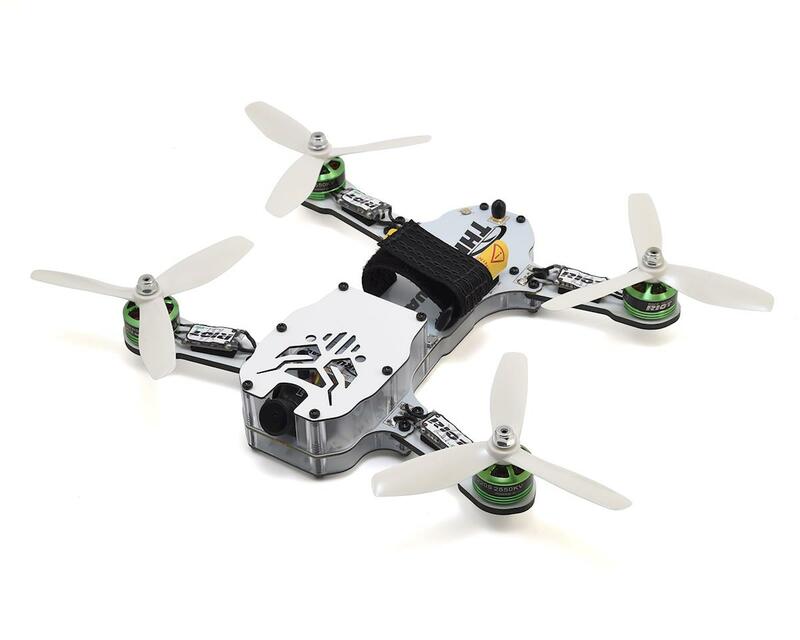 The Thrust UAV Riot 250R Pro was built to stand out and disrupt the FPV racing market. The enhanced Riot 250R Pro is built upon the Riot 250R, which has been own for almost 2 years by professional pilots and won many races. With feedback from professional pilots, the modifications made to the Riot 250R Pro take drone racing to the next level. Designed to maintain a low GG. This drone's flight performance and handling make it one of the easiest race drones to fly right out of the box. The Riot 250R Pro also features built in power distribution, eliminating messy wires. It includes filtered power for all the necessary systems. 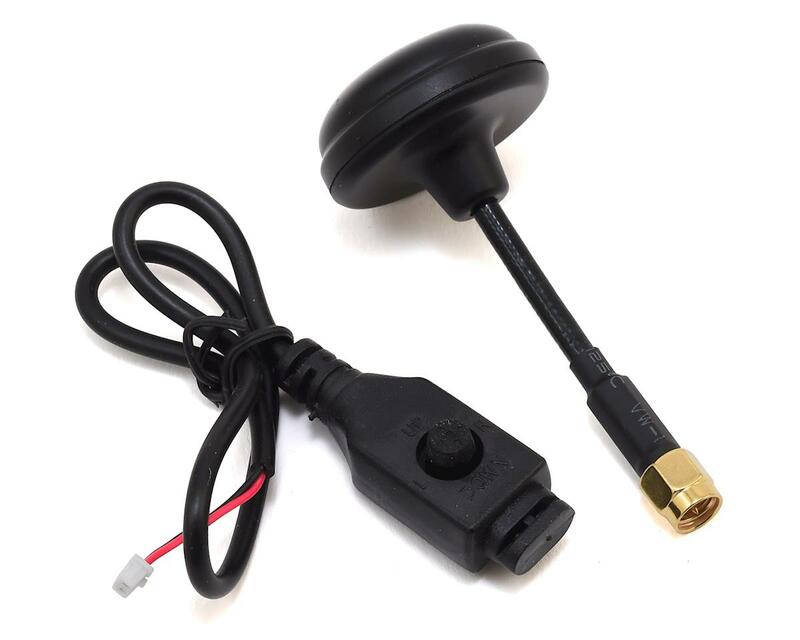 Omni directional antenna allows the video transmitter to be integrated and can be adjusted via the radio transmitter. 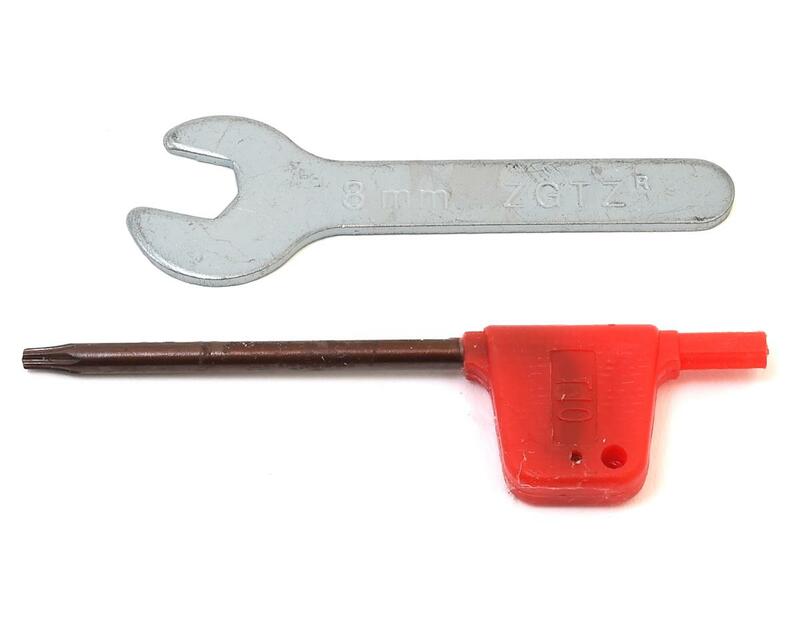 The SMA connector is extremely durable for attaching antennas which lowers the chances of damaging the video transmitter and allows quick and easy installation and removal of the antenna. An on-screen display shows battery information and frequency. The integrated flight system (IFS) includes a modular on-screen display (OSD) flight controller with XM20 20A multishot high speed processor giving it the most efficiency with the highest power output currently available. The modular design of the IFS allows for fast and easy repairs and is lighter than standard racing drones due to the integration of the board. The IFS comes precongured so that you can start racing your drone right away. Combining cutting edge racing technology with sleek design, this drone delivers the most amazing performance in an almost ready to fly package. With a 250mm white gel coated carbon fiber frame, the Riot 250R Pro is nearly indestructible and can carry an HD camera. The clear polycarbonate risers replace the traditional nylon or aluminum standoffs and diffuse the integrated addressable and programmable RGB LED system contained inside the skirt. The distinct design, white color and addressable LEDs make the Riot 250R Pro stand out from the rest of the crowd. Spectators will have no doubt who is winning races with the colorful LEDs. The Riot 250R Pro was designed with performance and handling in mind. This is one of the easiest race drones to fly, accelerating your flight performance ability. 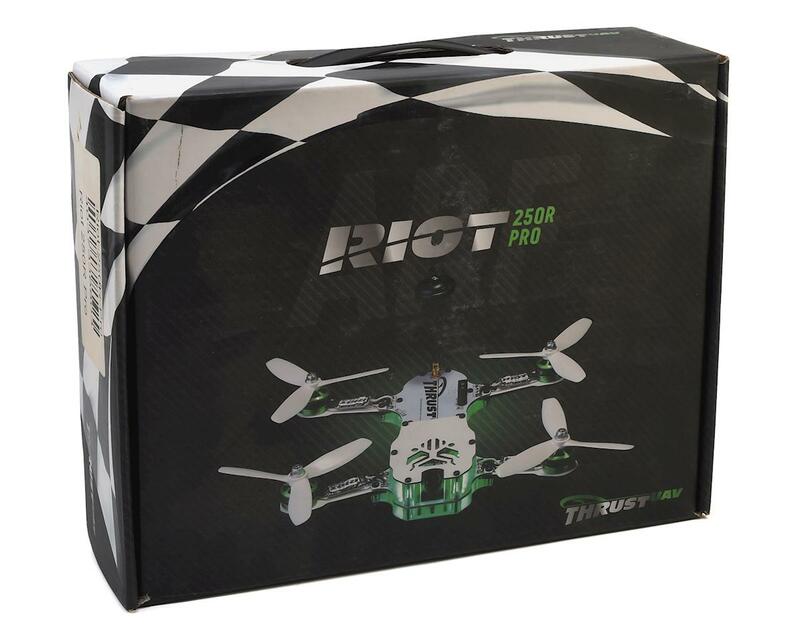 The Riot 250R Pro maintains low GG by balancing the board, FPV camera and HD camera at the center of the board to enhance stability, performance and handling.